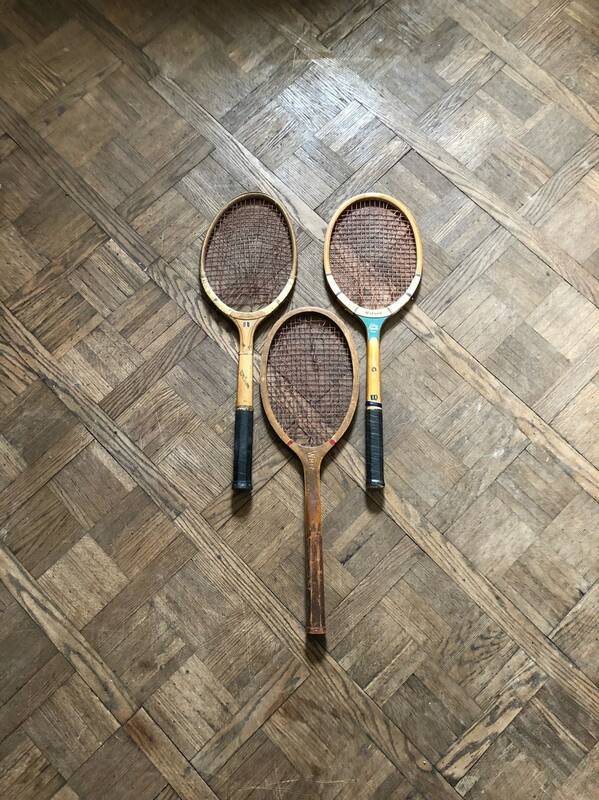 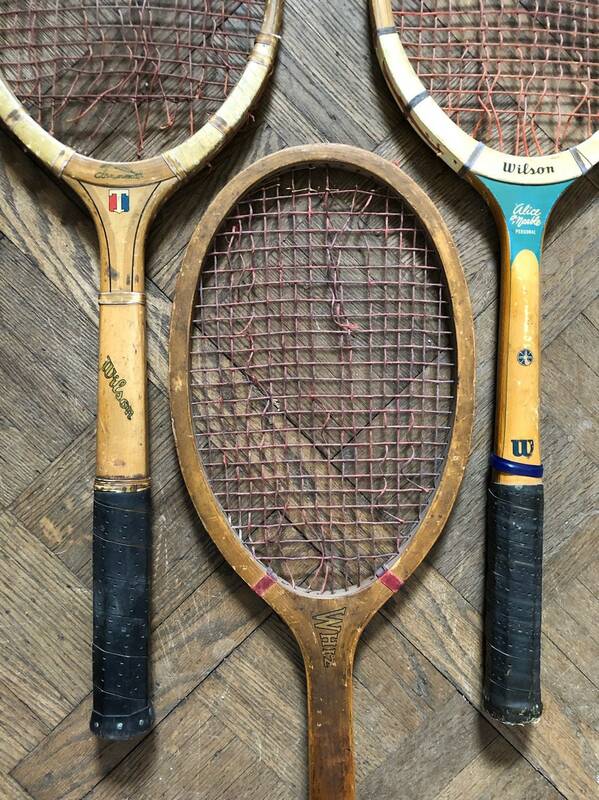 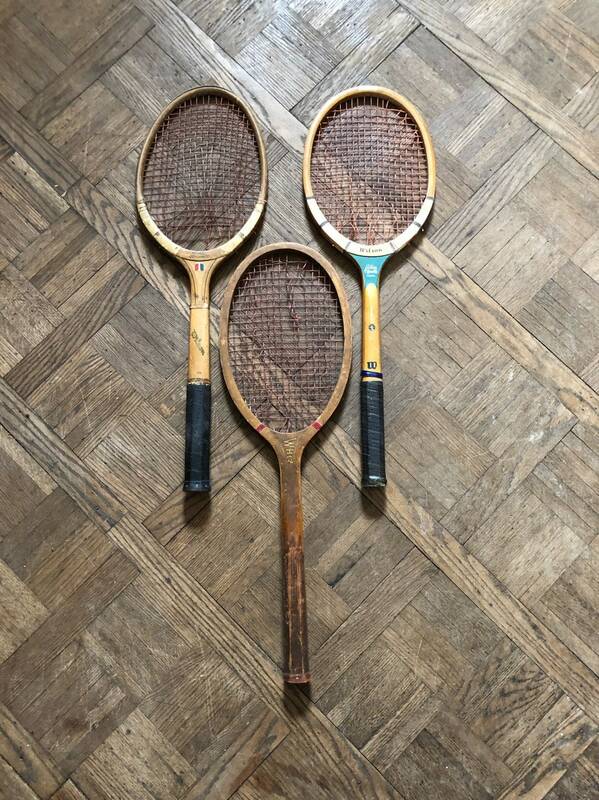 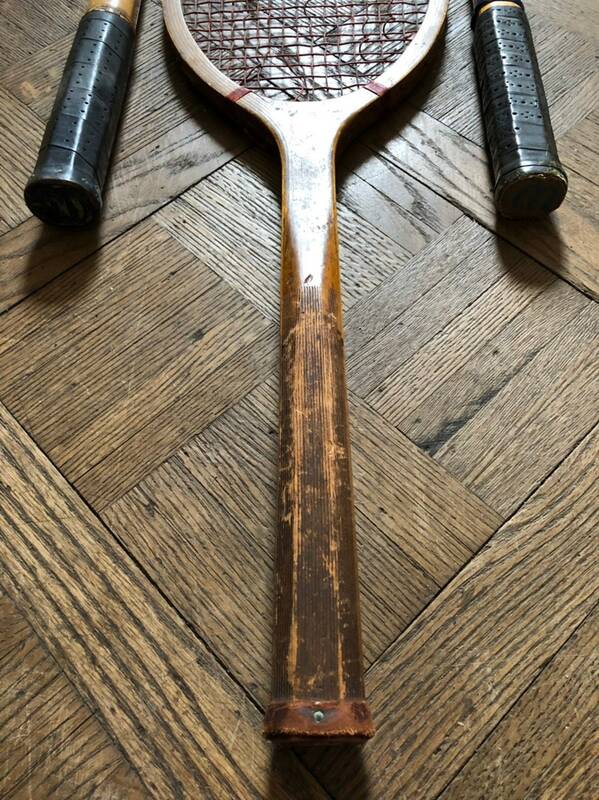 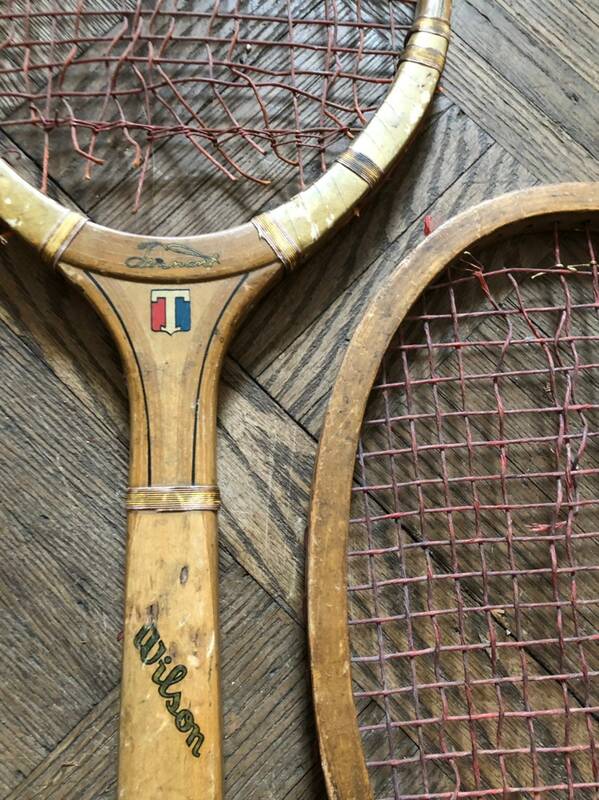 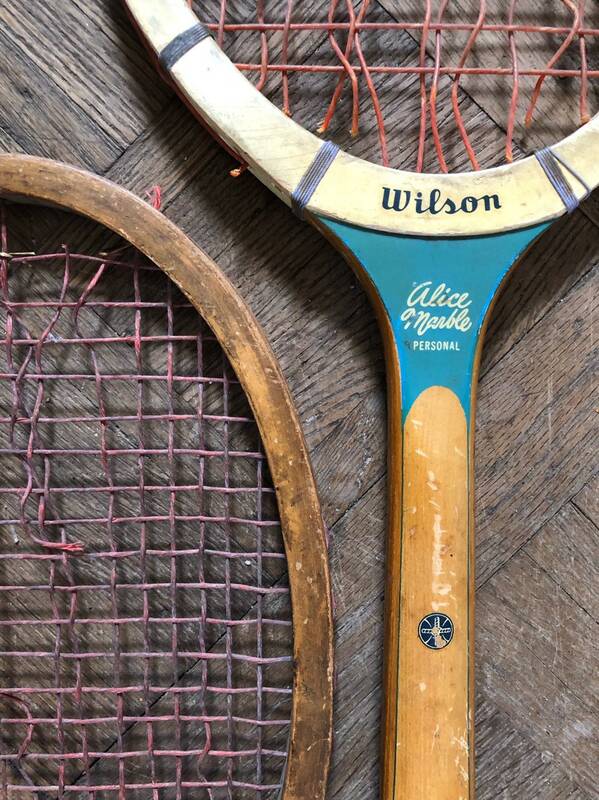 Nice set of vintage tennis racquets. 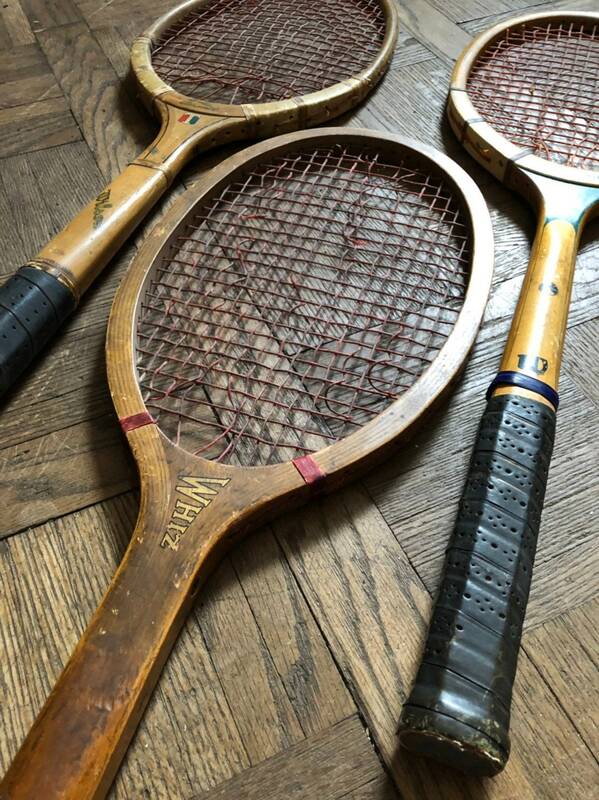 Listing price is for all 3 racquets. 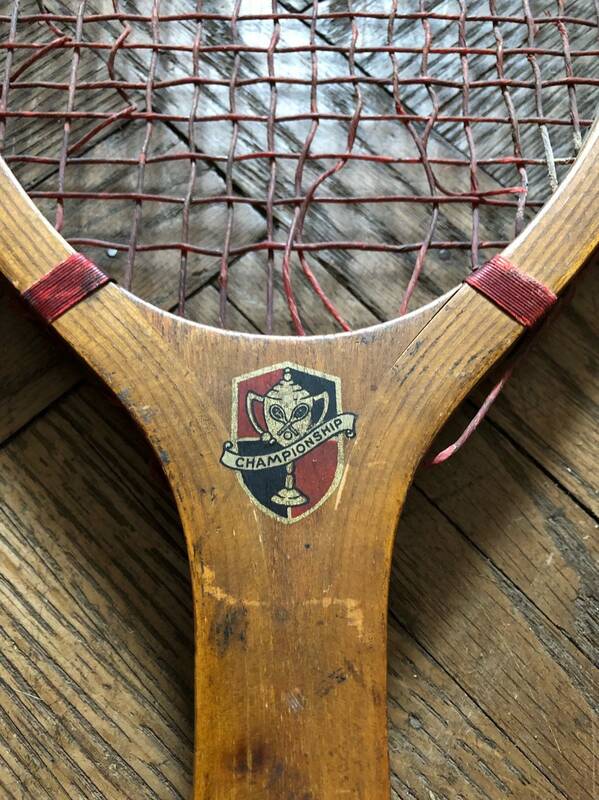 Nice vintage condition for display. 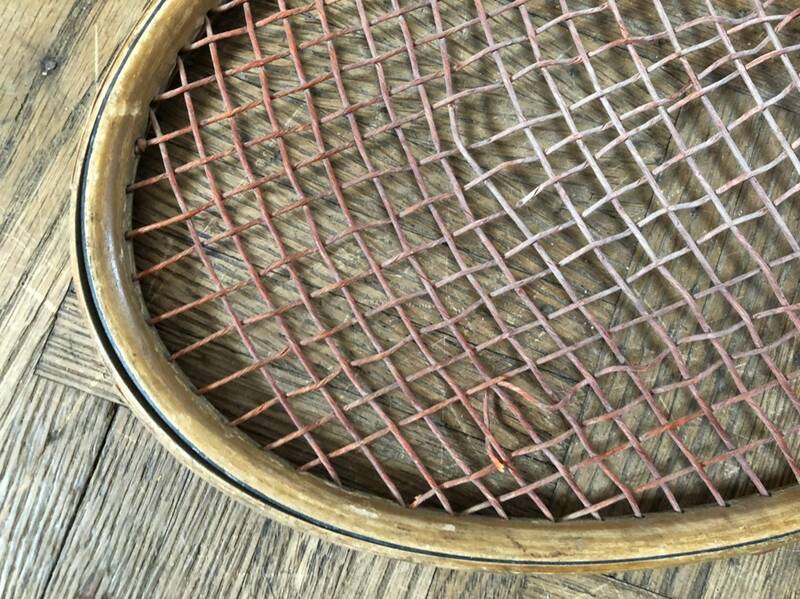 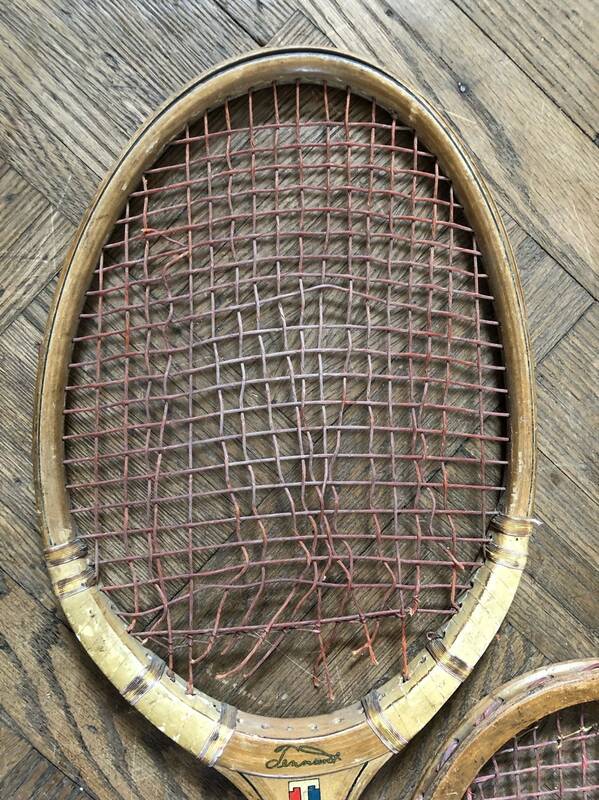 One racket has a mishapened frame with some separation.